Can You Eat Seeds if You're Allergic to Tree Nuts? Can you eat seeds when you're following a tree nut-free diet? It's a common question and leaves many people with nut allergies wondering if they can enjoy sunflower, poppy, pumpkin, and sesame seeds. The simple answer is that you may be able to eat these seeds because none of them are tree nuts. Each comes from plant families that are not closely related to nut-producing trees. Therefore, they don't necessarily contain the same the allergenic proteins that tree nuts have. In fact, some of these seeds are commonly used in cooking as substitutes for tree nuts and peanuts for people following a nut-free diet. They actually provide significant nutritional value and are somewhat similar in taste. With that said, true seed allergies are on the rise and they can cause serious reactions, including anaphylaxis. Even though these seeds are not related to tree nuts, it's still possible for you to be allergic to the seeds themselves. Your allergist is the best source for advice on whether seeds are an appropriate part of your diet, especially if you have other food allergies. It is possible to be allergic to certain seeds in addition to having a tree nut allergy. Some seeds are more likely to cause problems than others. Overall, it's estimated that only 0.1 percent of the global population has a seed allergy. A sesame seed allergy is among the more common allergies in countries such as Israel and Australia where consumption of sesame-containing foods like tahini paste is high. It's also considered one of the 10 major allergens by the Canadian Food Inspection Agency. In the U.S., sesame allergy affects around one in every 1,000 people, making it less common than other allergies. However, sesame allergy can be severe and in some cases, it may cause anaphylaxis. Poppy seeds can also cause potentially severe allergic reactions. This is particularly true if you are allergic to tree nuts (especially hazelnut) or pollen. Poppy seed allergies are even rarer than sesame seed allergies. However, there are no reliable estimates of how many people may have them. There have been a few reports of an allergy to sunflower seeds, including anaphylactic reactions to the seeds. However, like poppy seed allergy, sunflower seed allergy does seem to be rare. Finally, it's possible to be allergic to pumpkin seeds, but it is extremely rare. In a study that looked at allergic reactions to seeds reported from 1930 through 2016, researchers note that some reactions may not be due to the seed itself. In a handful of cases, allergists determined that mold or pollen on the seeds were actually responsible. Those affected inhaled the mold from contaminated seeds, and it was found that some sunflower seeds still contained pollen from the flower. Although someone who's allergic to tree nuts or peanuts may be able to eat seeds without a problem, you do need to be aware of the potential for cross-contamination in processing. For example, some companies that make sunflower seed butter also make nut butter or peanut butter. Their alternative seed-based products wouldn't be good choices for anyone with a severe tree nut or peanut allergy. Always contact the company to check on shared equipment or shared facilities. The researchers who studied the decades of seed allergy reports do note that allergic reactions to these seeds are rising. Sesame seeds are of particular concern. They also note that seeds are increasingly used in a variety of foods and that as international cuisines that traditionally include seeds spread, we may see an increase in reported cases. Further research is needed on this matter. However, if you have a history of allergies it would be wise to discuss these seeds and seed oils with your allergist or doctor. It's also important to remember that an allergic reaction to seeds can be severe, so err on the side of caution. Canadian Food Inspection Agency. Food Allergies and Allergen Labelling - Infomation for Consumers. 2016. Food Allergy Research and Education. Other Allergens. 2017. Hsu DC, Katelaris CH. Is 'Nut-Free' Sunflower Butter Safe for Children with Peanut Allergy? Medical Journal of Australia. 2007;187(9): 542-43. Patel A, Bahna SL. 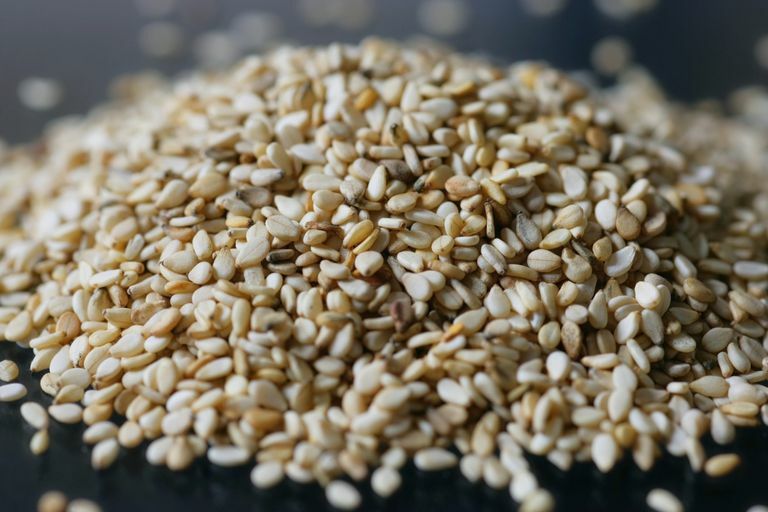 Hypersensitivities to Sesame and Other Common Edible Seeds. Allergy. 2016;71(10):1405-13. doi:10.1111/all.12962.